There are very few days left for the much-awaited festival of Ganesha Chaturthi – the grand 10 day festivity, which is celebrated with great enthusiasm and fanfare throughout India. What are your plans this festive season to invite prosperity and joy? Not sure? Then, don't' worry! We, at GaneshaSpeaks.com present the exclusive Ganesha Idol Attuned By Bejan Daruwalla – the ultimate solution for all-round well-being of you and your family. Find out about this divine item in this article. Lord Ganesha, who happens to be the son of the incredibly formidable – 'Devon Ke Dev – Mahadev', that is Lord Shiva and the powerful mother – Goddess Parvati, is a deity who possesses many boons. The great lord is invoked and worshipped before any new activity, and his blessings are required to achieve the desired results and success. The elephant-headed blesses us with great wisdom, knowledge and intelligence and if he is pleased with us, then can bless us with great success and prosperity. Without his blessings, it would be extremely difficult to ensure a path devoid of obstacles. Thus, the blessings and grace of Lord Ganesha are indispensable in our daily life. What Is Special About The 'Ganesha Idol Attuned By Bejan Daruwalla'? The devotion of the revered Bejan Daruwalla towards the mighty Lord Ganesha is well-known. 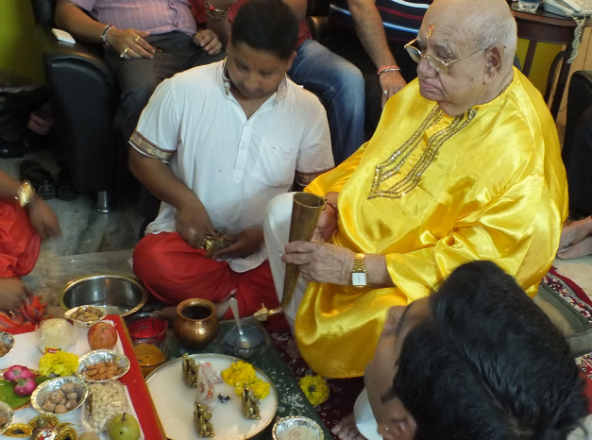 The Wizard of Astrology – Mr. Daruwalla, often credits his astrological brilliance and predictive flair to the grace of the Mangalmurti and the Vakratunda – Lord Ganesha. The Ganesha Festival 2017 is fast approaching, so, we at GaneshaSpeaks.com thought of a special way to bring more cheer in the lives of you all. So, we decided to get the Ganesha Idol attuned in the auspicious hands of Bejan ji. Hence, we shall deliver you this idol, only after Shri Bejan Daruwalla has worshipped it, in presence of Brahmins chanting Vedic mantras and offering prayers, to infuse divinity and life in this idol. Moreover, we shall also provide you with the appropriate guidance for instituting and regularly worshipping the Lord Ganesha's idol at your home. Material: Super fine quality Brass. How You Will Stand To Benefit From The Regular Worship Of This Idol? You shall always remain blessed, if you regularly worship Lord Ganesha. 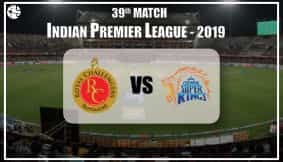 However, you can get much better results, if Lord Ganesha is instituted and worshipped as per the authentic rituals mentioned in the holy scriptures. The Lord Ganesha's idol that you receive shall only be sent to you after performing appropriate prayers, so that you obtain maximum benefit. Plus, this idol is made of high quality brass, and can be kept installed in the place of worship, drawing room, office area or any other place, without any degradation of the metal. 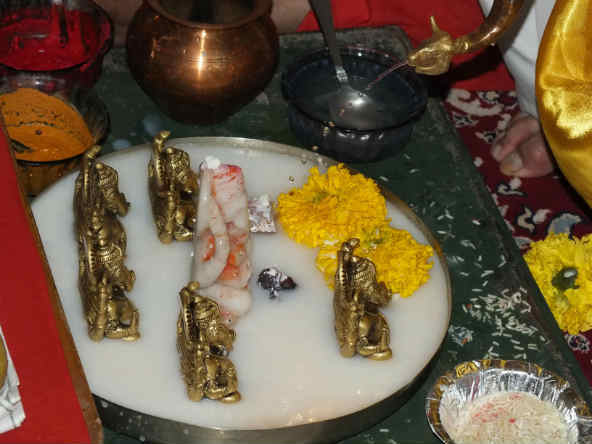 Any puja offerings that you make to this idol – water, sindoor, flowers etc, will not adversely affect the metal. The Sun is worshipped on Sunday and the Moon is worshipped on Monday. Similarly, worshipping every God and Goddess on a particular Tithi/Day has its own significance. As per Hindu scriptures, Lord Ganesha was born on the fourth Tithi of the Waxing Moon – Shukla/ Sud paksh in the Bhadarva month, hence it is highly important to worship Lord Ganesha on the auspicious occasion of Ganesh Chaturthi. So, bring home the Ganesha Idol Attuned By Bejan Daruwalla now and invite prosperity and happiness! 5) You can also get Ganesha Yantra Online And Win Happiness.